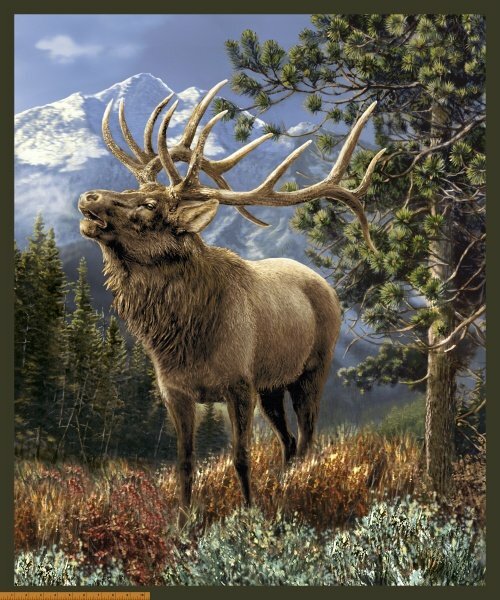 Windham - Mountain Elk-Panel - 50902P. Mountain Elk, full 1 yard panel - DIGITAL. Stunning wildlife panel by Whistler Studio.